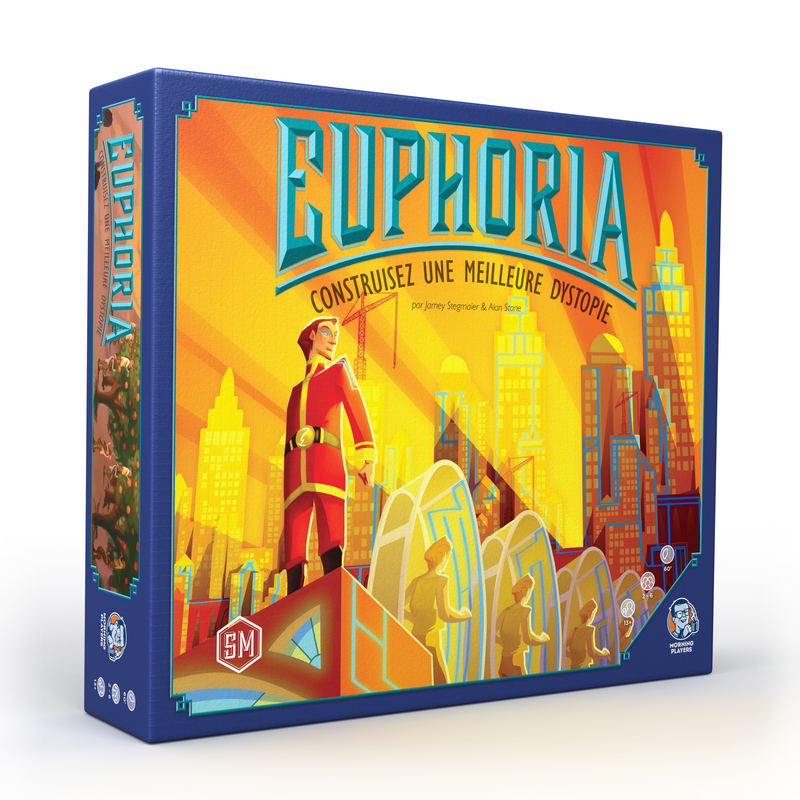 This has nothing to do with this entry, but I thought it’s really cool to see the new French-language Euphoria box! When planning and budgeting a Kickstarter campaign, there are a near-infinite number of possibilities to anticipate. Fortunately, there are only 3 scenarios you need to map out in detail. At the foundation of those scenarios is your funding goal, which you can read more about here. The basic formula is that your funding goal must be enough to cover a minimum print run for your product plus shipping and art/design. Deduct from that goal any personal funds you’re willing to invest and potentially lose, and you have your funding goal. Only 41% of Kickstarter projects successfully fund, so no matter how confident you are, you need to have a plan in place for underfunding. Are you prepared to “lose” any personal funds you invested in the art, design, and promotion of the project? Obviously you didn’t actually lose the money, as you have those art assets and hopefully some backers to engage for the future. It’s obvious to plan for success, but I think it’s prudent to have some contingencies in place in case you fail to fund. Your ability to put food on the table should in no way hinge upon Kickstarter success, so make sure you only dip into savings if you’re comfortable with not getting that money back. You could even include some investors to mitigate that risk, but consider the impact of giving up a percentage of your company based on all three of these scenarios. How much of my personal savings am I willing to lose? Should I involve other investors? This is the true test of the precision with which you created your funding goal. For example, in the board game space, a minimum print run with Panda Game Manufacturing is 1500 copies. What if your backers pledged to receive 800 copies? You still have to make 1500. Your funding goal should reflect 1500, not 800. When you plan for this scenario, you might have very different methods for shipping (or even manufacturing) the product compared to if you wildly overfund. Be prepared for the possibility of selling the bare minimum and have a specific plan in place for making and shipping those products. Also, there might be some situations where you really don’t want to sell much more than the funding goal. Make sure you go into the project knowing what you want, and create limited reward levels to ensure that you raise the exact amount of money you’re hoping to raise. Is my funding goal accurate for a minimum print run? If I don’t want to raise more than my funding goal, how do I ensure that happens? How will I make the product? How will I ship the product on schedule? While this may seem like the best scenario, it’s also the one I’ve read the most Kickstarter horror stories about. You thought you were going to make 250 products, but you were so successful that you now have the “burden” of making 25,000 products. You thought you would have 100 backers, but instead you have 10,000 people asking you questions and messaging you 24/7. You thought you would ship 50 books from your garage, but instead you have 5,000 books to deliver to backers on schedule. I think I’ve read one too many sob stories about creators being “too successful” on Kickstarter, especially when many responsible creators struggle to fund (or don’t fund at all). So please, have a plan in place before you launch for manufacturing and shipping your product if you wildly overfund. As mentioned in the example above, you also need to have a plan in place for your time. Any Kickstarter project is going to take up a ton of time, but if you have 10x the number of backers you thought you were going to have, that’s a whole new level of commitment. Make sure to clear your schedule for the month of your campaign. You also need to have stretch goals created and budgeted in advance. This might seem like a no-brainer if you’re reading this blog, but you can turn an overfunded project into one that feels like a barely funded one if you set a stretch goal too low. Last, if you have any rewards or add-ons that cannot be mass-fulfilled (i.e., a reward level where you offer to sign every product or give someone a bite of potato salad), either (a) limit those rewards or (b) don’t offer those rewards at all. 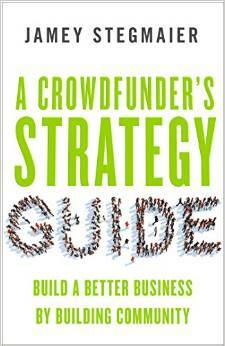 How should I schedule my project and my life so I give my backers the attention they deserve? What are my stretch goals and at what funding levels do they make sense? Which elements of the product can’t be mass fulfilled, and have I properly limited them? What do you think about these 3 scenarios? If you’re planning a project, do you have some concerns about the scenarios that I haven’t addressed here? The almost frightening part are the examples of successful campaigns going sour. I might be more perturbed if I didn’t know it happens frequently in the real world too. The ability to quickly scale is no small feat. Indeed, I agree. Scaling is really difficult. Gizensha: That’s a GREAT point. I’ve seen it communicated pretty well in some cases–any added time needs to be noted on the stretch goal chart. Ha, my goal is that one day I’m dealing with Scenario 3! My first campaign hit 218%, but my current campaign might not even hit 100%. For both campaigns, I actually had 2 plans, manufacturing and distribution (USPS) for the minimum order quantity and then manufacturing (with a different printer) and different distribution plan (Amazon) if things went really well. I am pursuing a similar strategy as Steven for my upcoming Kickstarter. Do you find backers get annoyed if shipping deadlines change due to the change in manufacturer? I think the plans should include shipping schedules that are transparent up front to backers. In fact, I would say that you should always advertise the later of the two plans on the reward levels, just in case. For example, if Plan A has an estimated delivery of February and Plan B has an estimated delivery of June, put June on the reward levels. These lessons are SO insightful Jamey, thank you for sharing your experience so thoroughly! !